Bases to fit our parasol range. Dark Gray - 15kg Granite parasol base. Can be used for all 38mm and 48mm frames. 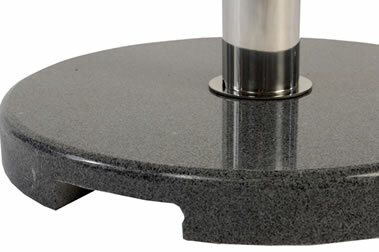 Dark Gray - 25kg Granite parasol base. Can be used for all 38mm and 48mm frames. Dark Gray - 40kg Granite parasol base. Can be used for all 38mm and 48mm frames.